Raspberry Pi 7″ Touchscreen Light Stand #3DPrinting #3DThursday « Adafruit Industries – Makers, hackers, artists, designers and engineers! 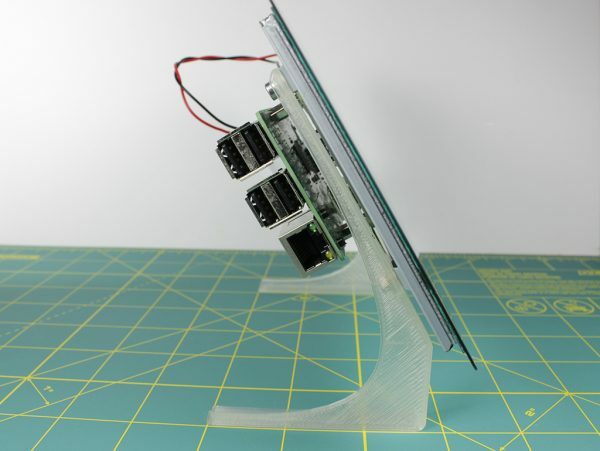 This is a light stand for the official Raspberry Pi 7″touchscreen Display. It is designed for quick prototyping as it is lightweight and takes little time to print. 4 pcs M3-0.5x5mm or M3-0.5x6mm screws are needed. Design based on the official drawing dimensions for the Raspberry Pi 7 Inch Display.